In 1526, when the nomadic Timurid warrior-scholar Babur rode into Hindustan, his wives, sisters, daughters, aunts and distant female relatives travelled with him. These women would help establish a dynasty and empire that would rule India for the next 200 years and become a byword for opulence and grandeur. By the second half of the seventeenth century, the Mughal empire was one of the largest and richest in the world. The Mughal women unmarried daughters, eccentric sisters, fiery milk mothers and powerful wives often worked behind the scenes and from within the Zenana, but there were some notable exceptions among them who rode into battle with their men, built stunning monuments, engaged in diplomacy, traded with foreigners and minted coins in their own names. Others wrote biographies and patronised the arts. 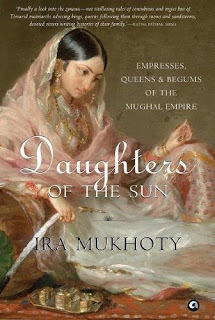 In daughters of the sun, we meet remarkable characters like Khanzada begum who, at sixty-five, rode on horseback through 750 kilometres of icy passes and unforgiving terrain to parley on behalf of her nephew, Humayun, Gulbadan begum, who gave us the only document written by a woman of the Mughal royal court, a rare glimpse into the harem, as well as a chronicle of the trials and tribulations of three emperors Babur, Humayun and Akbar her father, brother and nephew, Akbar’s milk mothers or foster-mothers, Jiji Anaga and Maham Anaga, who shielded and guided the thirteen-year-old emperor until he came of age, Noor Jahan, ‘light of the world’, a widow and mother who would become Jahangir’s last and favourite wife, acquiring an imperial legacy of her own and the fabulously wealthy begum sahib (princess of princesses) Jahanara, shah Jahan’s favourite child, owner of the most lucrative port in medieval India and patron of one of its finest cities, (No Suggestions). The very first attempt to chronicle the women who played a vital role in building the Mughal empire, daughters of the sun is an illuminating and gripping history of a little known aspect of the most magnificent dynasty the world has ever known. When the movie Lipstick Under my burkha was released, Ratna Pathak Shah raised a very valid point in one of her interviews by saying that Indian women have no real role models to look up and aspire to be like. Even our actresses are busy playing roles that are not inspiring at all in real life. That had left me thinking, because however harsh what she said was true. Reading Daughters of the Sun was a sheer delight as the author took me back to the history and showed me how it was full of women who were intelligent, different and inspiring enough to be considered role models. We all have grown up on reading about the rich Mughal dynasty and their contributions to our country in terms of architecture and cultural heritage. But we rarely have been told about the strong women in that dynasty who contributed immensely towards the development of arts and culture, ones who led by example and stood out because of their beliefs. As the author said in one of her interviews, I also believed that women were domesticated in the royal families. There was no reason for them not to be. They could not be different and diffident. This book changed the way I looked at them and ofcourse the way I perceived our history. With a beautiful, eye catching cover , this book promised to be a visual treat in terms of the narrative and it lives upto it till the last word. 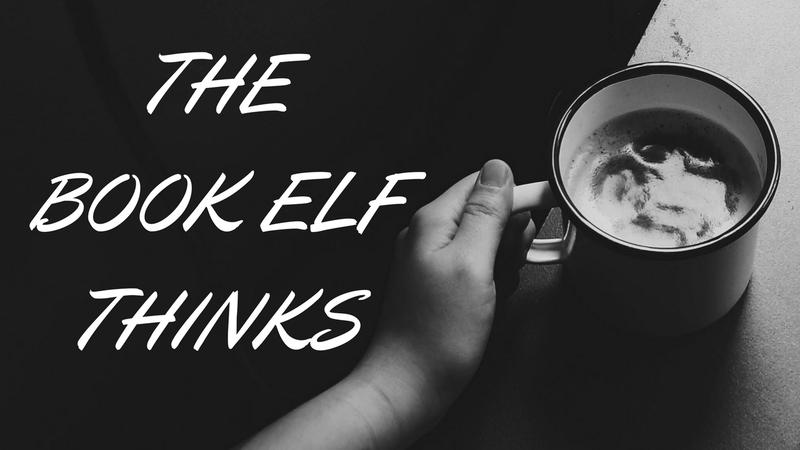 The descriptions are vivid enough to make you visualise the scenes. This book breaks the taboo associated with the word Zenana which was considered the King's harem. As you flip through the pages you realise, Zenana is a place where intelligence met beauty and grace. Where taste met art and culture giving birth to some of the most stellar masterpieces in arts. This book takes you inside the Zenana and introduces you to all the people present there. At the end of the book, you feel as if you have time travelled and are now in a position to call them, your friends! Their stories are awe-inspiring and fascinating. The research done by the author for this book is truly commendable and it is visible all throughout her writing. Her writing simply holds your attention, making you flip page after page as you are enchanted by the story of Queens and Princesses who were more than just mere wallflowers. Strongly recommended, this is one book every woman should read to know how the strength they are looking for, is always within them. It is just waiting to be discovered and brought out to conquer the world! 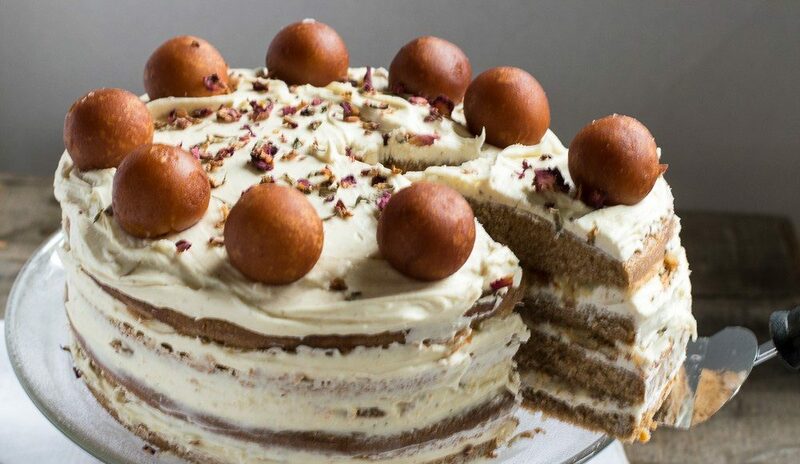 This book is like the Gulab Jamun cake - uniquely different, rooted in tradition and culture with a new twist to it.